It's been a year of contrasts. This year Simple Minds released four albums worth of material (Néapolis, The Early Years 1977-78, Real Live 91 and all those remixes!) only to see Néapolis perform badly in the charts, and no US release at all. The world could tune in to their first Cybertheatre gig, but demand killed the feed for many. So a repeat performance at the Cybertheatre kicked off their European Tour. It was a great tour for those on mainland Europe, but UK fans were disappointed as the band didn't play their two UK events. But it was going to be a short tour anyway. simpleminds.com finally launched, and the new Travelling Man fan club arrived. And with all that said, it's been one hectic year from Simple Minds. More of the same for next year? More bootlegs have been added to the Bootleg Discography. Alive And Singing , Alive And Kicking , Above This Highrise Land and a 7" called Simple Minds document the first European concerts of the Once Upon A Time tour. Happy holidays, and thanks for all the e-mails and support over the last year. Celtic, the Scottish Premier League champions, have shown the red card to a bid led by former Celtic and Scottish international great Kenny Dalglish and Jim Kerr of rock group Simple Minds. Vice-chairman Brian Quinn said the board had unanimously concluded that the proposal "is not in the best interests of Celtic, its supporters and its shareholders." He said the proposal could lock in small shareholders and burden Celtic with debt, but did not match Celtic's £91m market value or show adequate commercial skills. Mr Quinn said chairman Fergus McCann's plan to distribute his 51% stake among the shareholders was the best way to maintain the balance between the shareholders and Celtic's "wider role in the Celtic community." Mr McCann said: "I have not given five years of my life to Celtic to take it from bankruptcy to a point of strength and then recommend a proposal which fails to reflect Celtic's values and aspirations." Copyright: The Daily Telegraph Back to the Celtic story! 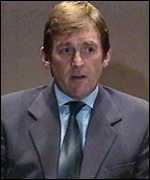 Over the last half a year, it's become common knowledge that Kenny Dalglish is heading a consortium to buy Celtic football club. Jim is a vocal, and active participant in the consortium, his name being linked with it the longest. Last week, Celtic rejected the offer being made by the consortium (an interesting statement, considering their later statement that they never received an offer.) This was reported widely in the press. A cutting from the UK's Daily Telegraph is reproduced left, but more can be found on the BBC's website here. Yesteday, Jim and Kenny Dalglish faced the press. The event was widely reported on the early morning news programmes. But their interview, including audio files of the key quotes, can be found here. Whilst this is a very serious matter, with millions of pounds being discussed, the view of several Simple Minds fans was to express shock at seeing Jim in a suit! Check out the For Sale section in the Marketplace . More additions have been made: can you help out? Do you have spare copies of The Amsterdam EP , Themes Volumes or CD bootlegs? Triple serving of fanzines. First up is a huge, double issue of Mission In Motion . This long running Spanish fanzine covers the Neapolis tour, takes on the remixes, and remembers Malcolm Foster. For a full list of contents, and subscription information, follow the Mission In Motion link from here. Who's Doing The Dreaming Now? issue seven is now being mailed to subscribers. It finishes the Néapolis discography, tracks down an interview with Jim about the purchase of Celtic, and includes the definitive account of Mick MacNeil's activities since leaving Simple Minds (complete with discography.) There's also reviews of the summer shows, Travelling Man and Real Live 91. And Who's Doing The Dreaming Now? subscribers are being offered the chance to purchase Simple Minds sheet music at a discounted price from Rose-Morris: London's 6-Floor Music Store. An incredible picture of Jim glares from the cover of Travelling Man (hats off to Andy Earl and Toorkwaz - it's a great image.) 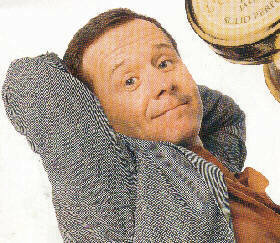 The fanzine's contents are mainly taken from simpleminds.com , but there are some interesting Néapolis pictures. More information about these two fanzines can be found in the fanzine section. Finally, some updates on this web site! Firstly, some minor additions to the discography. A new radio show turned up, a Westwood One CD of the 1995 Glastonbury performance. This can be found in the US Radio Show section of the discography. A more recent discovery is an Italian 12" of Glitterball. This can be found on the single's own page in the discography. A more substantial addition is the next round of bootlegs. This finishes the Sparkle In The Rain tour and includes Summertime In Glasgow , one of their most important bootlegs. This brings us up Once Upon A Time - the bootlegs for that tour will be posted soon. The new additions are: Look Up To The Sky , Hometown , Disc Of Brilliant Things , In Summertime , Wheels Of Fame , Summertime In Glasgow and Live In Glasgow . There's been some additions to the Marketplace as well. Eduardo Palandi is after some LPs on vinyl. Can you help out? - you'll find his details in the For Sale,Wanted And Trades section. Plus Patrik Friberg is selling some Simple Minds records - including some promos from the Neapolis period. You can find his list here. Who's Doing The Dreaming Now? issue seven will be out soon! And finally the latest news that everyone's talking about! Finally, after months of rumour, it seems that Jim was involved in talks to purchase Celtic football club. Kenny Daglish is named as the head of the consortium who've expressed interested in purchasing the club - Celtic have confirmed that they know of the consortium, but no offer has been made yet. The story even made BBC Nine O'Clock News, but it was left to ITN's News At Ten to print a picture of Jim (looking very young) and show some footage of one of the Mandela concerts. I'm on holiday from September 11th to September 27th. Mail will be answered after this period. The Néapolis mailing list will continue to run as normal. Click here for some of the LP bootlegs from The Tour De Monde . The radio matharon all went according to plan. Co-host Todd Richards wrote: " I'm thrilled to say that the marathon went extremely well. I even played requests from as far away as Germany! I'm encouraging the management at WBWC to pursue "Real Audio" capabilities...next year...if I'm lucky the marathon will be heard via the Internet! " Todd Richards and his co-host Aaron Burke plan a return to the airwaves early summer next year. Many people have asked after a playlist for the show. They've been posted at www.concentric.net/~Bri421/simpleminds.html. The playlist reflects Simple Minds entire back catalogue, even mixing songs from Life In A Day with Neapolis. Other highlights included the full broadcast of The Street Fighting Years BBC documentary and Real Live 91. It was also probably the first time New Warm Skin has ever been heard on the radio as well! US Radio station WBWC 88.3Fm The Sting in Berea, located in Ohio, just outside Cleveland, are running a Simple Minds Marathon on Thursday. (20th August 1998). The broadcast will feature 18 hours of Simple Minds material ranging from their debut as Johnny And The Self Abusers through to Néapolis and the fan-club only Real Live 91. More information about the marathon broadcast can be found at www.internerd.com/simpleminds whilst the radio station's page is located at www.radiolink.net/wbwc. Hervé's auction is continuing to run with lots of interest and bidding. Collectors seem to be most interested in the bootlegs, although there's much more to the collection than that. Check it out in the Marketplace section. There's also a link to Hervé's site, where he keeps an up-to-date list including the current bids. I've also updated Hermes Carylon's set sale. This sale closes at the start of October and Hermes has now announced a 25% discount on all prices published. Again, this is an extensive Simple Minds collection. There are also some new items included in the memorabilia section of Hermes' list. Hermes also asked that his 'phone number be put on line, which you'll find on his page in the Marketplace. More additions to the MarketPlace : H. Lockhart is looking for trades, whilst Eric Simon is after a particular remix of Promised You A Miracle. Check it out. Last months Q Magazine listed the top 100 richest rock stars in the UK, and what they spent their money on. 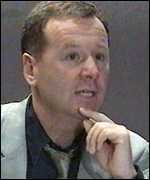 Jim and Charlie made the list, and the magazine reported that Jim was heading a consortium to purchase Celtic. It then came up with an extremely dubious reason as to why. However Q redeemed themselves with their Top 10 UK Albums Of The Eighties feature. 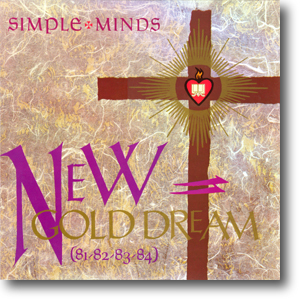 New Gold Dream (81,82,83,84) was cited as one of the top ten. One of the tracks they especially picked out was the oft-ignored instrumental Somebody Up There Likes You. (Interestingly U2 haven't made the list - I'm sure The Joshua Tree should've been included - but not at the expense of New Gold Dream (81,82,83,84)!!!). I've added some more information about Hervé's auction which can be found on his auction page. The 1998 tour is over - the tour date page has been updated and archived away (the final list can be found in the Tour Section.) Simple Minds are not expected to tour again until a least the end of 1999. Clive Johnson and Shaun Tranter are thinking of holding a Simple Minds Convention next year. They have lots of ideas and are looking into booking places, but they want more input. What would you like to see at a Simple Minds Convention? Flyers have already been distributed at some of the summer shows, and will also be sent out with Who's Doing The Dreaming Now? issue seven. The latest Endless River fanzine has just arrived. Volume Two Number Two includes the latest news, bootleg reviews, web site tours, a review of the second CyberTheatre Gig and more. Details (including a link to their web site) in their fanzine section in the fanzines area. The 1998 festival tour has now finished. The band, after a short break, will get straight back into the studio to continue work on the follow-up to Néapolis. As detailed in Who's Doing The Dreaming Now? 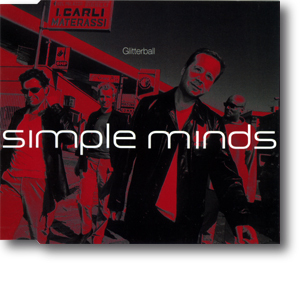 #5 , Simple Minds want the next studio album released by September 1999. A major tour will then follow. 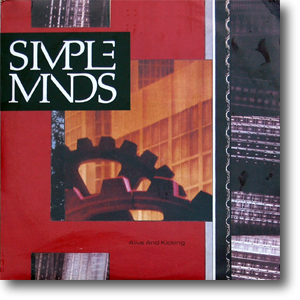 There are two new Simple Minds sales on the web site. Eduardo Akins is selling a collection of mainly Australian and American items. Whilst Hervé Henry is auctioning his entire collection - there are many rarities included. Check out both lists in the For Sale, Items Wanted and Trades section. And after promising for a long time, the new bootleg discography is starting to take shape. The pictures in this section are the sleeves of Simple Minds earliest LP bootlegs - all are fully documented and reviewed in the new bootleg section. Over the next couple of months, the entire bootleg discography will be gradually uploaded and completed. It's the first time that some of these bootlegs are actually mentioned, let alone pictured and reviewed, on the Internet. In fact, some of them have escaped mention in any fanzines or Simple Minds documentation, so this will become the most extensive bootleg inventory for the band. Click here for the LP bootlegs from Johnny And The Self Abusers to the New Gold Dream (81,82,83,84) tour. Jim's made a full recovery and is now OK. Last night's Dublin Gig was still scheduled (I'm waiting for some gig reports to show up) and tonights concert will also go ahead. Simple Minds didn't appear at the Prince's Trust Concert due to Jim becoming ill with food poisoning on Saturday night. How this will affect the Dublin gigs today and tomorrow is currently unknown. The concert to be held at Hyde Park in London with weekend will be broadcast by Capital Radio over the Internet. More details can be found here. 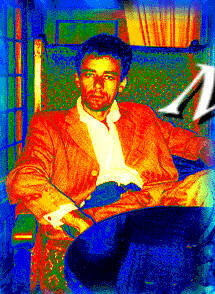 The full discography for Néapolis, The Early Years 1977-78 and Real Live 91 is now on-line. Goto the discography section and select Albums or Singles to navigate to these new sections. I picked up a copy of Orgasmaphobia by Then Jerico and found that Mick MacNeil is more involved in the album than previously reported. He plays keyboards on Never Surrender , Iain Banks and the title track Orgasmaphobia . Special mention goes to Iain Banks - it's an incredibley good instrumental; just Mick's keyboards and author Iain Banks narrating a piece from one of his works. The piece is very dark and eerie. MacNeil co-wrote the final instrumental Energy with Mark Shaw. The song reminds me of Kick It In - a high powered piece suddendly segues and slows into Hammond organs and keyboard effects. I was pleasantly surprised with Orgasmaphobia - it's instantly recognisable as Then Jerico. If you liked the band in the late eighties then you'll like this. It's just a pity about the title and the artwork. The first bootleg from the 1998 festival tour has just turned up. Entitled Ice To The Skies (which I think should've been Eyes To The Sky ! ), this Italian bootleg features recordings from four parts of the Italian tour, and a token Night Of The Proms number. Ice To The Sky - T. Rex Records TRCD 061 - picture CDR in jewel case with picture insert. I don't have any information about the quality of this CD at the moment. 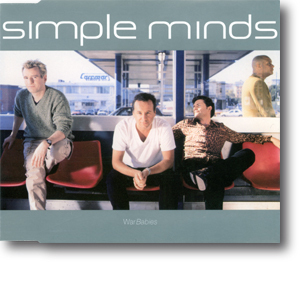 A new Simple Minds sale is featured in the Marketplace . Hermes Carlyon is selling off his collection and the prices are very reasonable. The remixes on the first 12" turned up on the UK CD of War Babies. The remixes on the second 12" currently remain unreleased commercially. British tabloid The Sun has announced that Johnny And The Self Abusers will reform for a one-off gig in Glasgow in November - this ties in with the Jim's comments on the official site about his hopes to reform the band. Obviously such a gig would depend on John Milarky, Alan McNeil, Tony Donald and Brian McGee - hopefully it will happen! I've not heard the piece yet, but I've been told that the end of the track is very recognisable as MacNeil's style. New fanzine section created. All the current fanzines ( Travelling Man , Who's Doing The Dreaming Now , Endless River , Le Menti and Mission In Motion ) have their pages updated. Full format and subscription information is given on each page. Plus some updates to the Marketplace section. Plus an exclusive feature by Jim where he introduces Néapolis and explains the meanings and/or thoughts behind each track. Full colour cover with many colour and B&W picture within - still 40 pages. Simple Minds "A World Tour In One Night"
Simple Minds live gig from the infamous CyberTheatre in Brussels - broadcast live on the Internet in RealAudio and RealVideo from RealNetworks at 21.30 (CET), Tuesday 26th MAY. On the 25th February this year Simple Minds launched their website with a live gig broadcast live over the internet from the CyberTheatre in Brussels (http://www.nirvanet.com/live). With only a limited number of streams available 10,000 people watched live, while 500,000 queued around the virtual block waiting for an available stream. For the Q & A session that followed the band were swamped by over 4000 emailed questions, and 1.5 million people visited the site directly after the webcast. The event was such a success that the band have announced another live performance at the CyberTheatre on 26th May, but this time it will be bigger and better than ever. Titles "WORLD TOUR IN ONE NIGHT", the number of streams will be doubled. Philippe Brawerman, President and CEO of Global Theatre Network mentioned how pleased he is to see the CyberTheatre being used to its full potential for this launch. The CyberTheater is a high end media center that provides new business and consumer event capabilities. The CyberTheatre's expertise lies in integrating live performance, interactivity and the Internet in the creation and distribution of a message. The official Simple Minds website at http://www.simpleminds.com realised by Motion Pixels UK is today's Macromedia's shock site of the day. 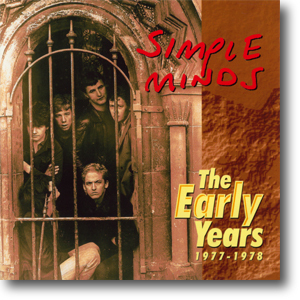 Every Simple Minds release including hard to find albums, singles, imports and other merchandize will be available online during and following the web cast. The event will be broadcast live via broadcast.com, the leading aggregator and distributor of streaming media programming on the Web. According to Broadcast.com's Julie Smith: "Simple Minds' fan base spans the globe. We are thrilled to be the host of this event and to be able to connect these fans to one another during this very special performance." Francois Mazoudier, European Marketing Director, RealNetworks concluded: "Using webcasting to launch a new album is an excellent way to reach a truly global and diverse fan base. It gives Simple Minds' fans a chance to experience what's coming out soon and also provides them with an element of interactivity with the band that they wouldn't get through traditional media like radio and TV. We are convinced there will be a large number of bands adopting this model this year - it is just what the fans want." The performance will start at 21.30 (CET) and will be the first chance to see Simple Minds play live since the release of their new album Neapolis . The set will consist of songs from Neapolis as well as a number of Simple Minds classics. The set will last approximately 45 minutes. 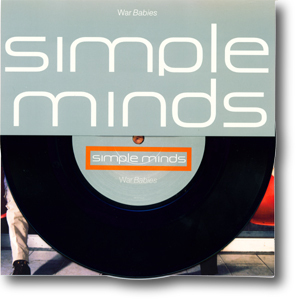 The Simple Minds single War Babies is at radio across Europe NOW. Those unable to tune in on the night need not despair. The concert will be archived on http://www.nirvanet.com.cybertheatre/archives allowing followers to listen to the new tunes again and again. Special thanks to EMI International, Motion Pixels, RealNetworks, Broadcast.com and NRJ Europe. GTN (Global Theatre Network) is supported by prestigious partners such as Alias WaveFront, Apple, Axis, Barco, Belgacom, Cisco Systems, Claris, Connections, Connectix, Digital Equipment, EML, Hotel Metropole Brussels, HP, Informix, ImagiNet, Kinnetix, Macromedia, MetaCreations, Netscape, PictureTel, Quattro DMB&B, RealNetworks, RMB, Silicon Graphics Inc.,3 Suisses, St Roch, Technivert, Unisource, Ubisoft, Vartec, Vosaic and Wacom. Rocks stars Jim Kerr and Bono are ready to join a bid for control of Celtic when Fergus McCann offloads his £36m, 51% stake in the club next year. Former Bhoys director Brian Dempsey is the man behind the consortium involving the Simple Minds and U2 singers and Kerr said: "I can confirm I've been in discussion with Mr Dempsey with regard to the future of Celtic." "It's well-known I love this club and the people who support it." "I am delighted to support Mr Dempsey and others in our attempt to ensure that the ownership of the club goes back to Celtic shareholders and its fans, as Mr Mcann promised it would." The official fanclub Travelling Man is up and running. Copies of their first fanzine (far right) and the exclusive Real Life live concert CD (right), called Real Live 91 (Mindmood SMFC01), are now being sent to subscribers. The glossy fanzine includes profiles on Jim, Charlie, Derek and Mel, Glitterball lyrics, competition and more. It was reported in the Daily Mail on Monday, that Keith Richards of The Rolling Stones had recently broken a rib. This has caused their European May gigs to be either postponed or cancelled. Simple Minds were support for the Zagreb gig on May 28th - it looks like this concert will be affected. 7" in wrap round sleeve. Cassette with picture sleeve and jewel case. Enhanced 5" CD with picture sleeve and jewel case. Includes War Babies video. UK CDs are totally different to their European counterparts. If you want to hear the full Utah Saints mix, or The American by Interference then you'll have to swap with someone in mainland Europe. Similarly European fans will want to track the UK disc down for the mixes by Fluke, Waiwan and Johnson Somerset. The third and fourth promotional club 12"s have started circulating. The third is rumoured to feature the Fluke,Waiwan and Utah Saints remixes. The fourth features another mix of Love Song and either a mix of Up On The Catwalk or Speed Your Love To Me! Clarification soon. No definitive reasons have yet surfaced for Simple Minds non-appearance at the Fleadh Festival. But some more information can be found on the NME's web site (check out James Replaces Jim in their news section.) Looks like it was a contractual issue - whatever that means. Jim will be turning up on the unlikely named Wessels Woelige Wereld as a co-presenter on May 14th (Thursday). Part of The Music Factory being shown in The Netherlands, he will be on your screens from 22:00 to midnight (CET). The Néapolis Mailing List now runs as two lists - either as a single mail list (where you receive singular mails as soon as someone posts) or as a digest list (where the mails are all packaged up into one.) Current topics have mainly included the need for a digest version of the list. Details in the Mailing List section. Simple Minds are not playing the Fleadh festival in the UK. Despite new advertisements for the event, all showing pictures of the band, it was announced yesterday on the UK's teletext service that Simple Minds had been replaced by James. This was confirmed by a telephone call to the event's information service. No reason has yet been given. Interesting developments for the War Babies single. As reported on April 26th, the new single, already released in Belgium and Italy, featured remixes of The AmericanI Travel. The UK release is entirely different. Plus the CD is enhanced and features the War Babies video! Some changes to the tour dates section - check them out. Also some changes to the Simple Minds mailing list. Melissa sent a message to the list explain that due to pressures of work, she was unable to continue. Therefore a new mailing list, called Neapolis , has started. All New-Gold-Dream list members have been sent resubscription instructions. More tour dates. Most significant is the announcement of another Web broadcast from the Cybertheatre in Brussels, and a festival appearance in Holland. I've updated the Tour section : the current and unconfirmed tour dates are all listed there. Plus another UK tour date!. Whilst War Babies has been delayed in the UK, it's been released in Europe. CD1 features the new mix of the title track by Dave Bascombe, I Travel remixed by The Utah Saints and The American remixed by Interference. I don't know what's on CD2 yet. A couple of New Gold Dream digests limped out over this week, but the list is now a month behind. It's usually around this time that I go in and sort it out, get the posting back on a daily basis, and then watch the whole list collapse again in several weeks. I'm not going to bail it out this time. If the current list is going to die, then let it die. If I hear nothing in the next week, then I'll start a new list going. The majordomo software is up and ready. It's time Simple Minds had a mailing list again. A rather different kind of interview with Jim was published in Sunday's Daily Express Sunday suppliment. Jim was asked various questions about his favourite things (Q: What is your favourite piece of art? ), some general knowledge questions and then his answers were reviewed to gain insight into his character. The following was published in Music Weekly. Things are not as bad as they seemed! I don't know when this was published, but it seems fairly recent. Even before any concert dates have been announced, Simple Minds can already this year claim to have performed live to more than half a million people. The veteran band achieved that phenomenal figure with just one appearance in February, even though the Belgian venue in question would have struggled to have held several thousand people, let alone a crowd of hundreds of thousands. As Craig Logan, EMI's vice president of international marketing explains, this launch for the band's first Chrysalis album Néapolis was beamed from the Cyber Theatre in Brussels onto the Internet, encouraging 542,000 people to log on. In the venue itself, media from around Europe were able to witness the band at first hand, whilst outside a couple of thousand people could view them playing songs from the new album. "It was a huge success" says Logan. "It was a small venue but it has really taken Simple Minds into a new domain." Next month another 250,000 people will be added to their live audience so far this year when they play in St. Peter's Square, Rome, helping to further boost popularity of the album in Italy where it entered at six last week and has already gone gold. Additionally Glitterball, Neapolis' first single, has been a top three hit there. While in the UK Neapolis has become the first album by the band not to make the Top 10 in more than 15 years, in Switzerland it entered at seven and Germany nine. "There's a fanbase everywhere for them, but maybe their profile has been higher on the continent," says Logan. The album's next single, War Babies, has just gone to radio stations across Europe and carries with it high record company hopes. 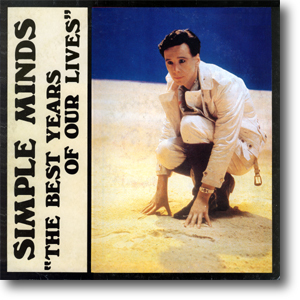 "That's the single which is the one we feel shows Simple Minds at their best," says Logan. "It's going to be a big single for us." Live dates for the band are due to be annouced later this year, while a continued promotional campaign will ensure efforts to reach the band's fanbase to not let up. "We weren't under any illusion we just had to put it out and it was going to happen because it has been some time. It's all about awareness really, letting the fans know there's a new Simple Minds album. Album gold and top 10 in Italy. War Babies single sent to European radio. Not brilliant by Simple Minds' past standards, but not bad either. Plus Fila's release of Theme For Great Cities reached number 9 in a Belgian Club Chart back in March! An update to the tour dates from the 2nd April: The band are confirmed support for The Rolling Stones at the Werchter Festival on the 20th and 21st of June. And a couple of weeks ago, on the 10th April, TFI Friday was a special Best Of show - repeating items from the last season. Simple Minds appeared - not playing War Babies but actually playing a truncated version of Waterfront, which wasn't broadcast at the time. It's certainly worth trying to track down a copy. The release date for War Babies has been postponed until May 18th. But single track promotional CDs (shown right), Chrysalis CDCHSDJ 5088, are already circulating. They feature the Single Version of the song, remixed by Dave Bascombe. Promo videos, again in impressive colour sleeves, are also starting to circulate. The video features Jim and Charlie in South Africa. On a different note, several people have e-mailed me inquiring after the New Gold Dream e-mailing list. The daily digest has been absent for several weeks now, and list members were wondering if the list had died. Since then, some digests have filtered out, but they're very old, from almost two weeks ago. I sent a mail to Melissa, and like many of you, I've received no personal reply. All I've seen is a public posting on the bulletin board on the official site from Melissa, with a 'PS' that the list would be sent last weekend. Obviously this hasn't happened. Melissa did send a mail to the forum section on the official web site asking if the New Gold Dream mailing list should continue. The guys at Motion Pixels have the updates to the forum, and I'm waiting for the new section to go on-line. But simply, my answer was "Yes - absolutely. Many people rely on that list." I want the list to continue, all the people who mailed me want the list to continue, and I assume everyone subscribed to the list also want it to continue. For the list to be useful, and to survive, it's got to be sent out everyday. Hopefully things will change in the near future. Whispers of more live dates. The band are rumoured to be supporting The Rolling Stones on the 20th and 21st of June at Belgium's Werchter Festival. It's also possible that the band will headline a warm-up gig the day before. Those looking for the CyberTheater Broadcast can now find it in the archive. Shown on the right is the colour sleeve for the promotional video of Glitterball. Star News is currently running a Simple Minds interview and competition. Check it out - you can win a signed copy of Néapolis. And another Glitterball promo has turned up. Believed French origin, this 7" plastic picture disk features the one-track promo CD pushed onto the back. New & exciting... Live & kicking! Annual subscription is only £15 (GBP) - Worldwide. Cheques, PO's and IMOS payable to Voiceprint Fanclubs. Who's Doing The Dreaming Now? has changed. Now professionally digitally printed, the quality of the fanzine has increased dramatically. The front cover, a mixture of unseen Good News From The Next World artwork, with previously unseen Néapolis pictures, is testament to the new look fanzine. Exclusive : Interview between Jim and myself which took place after the VH1 secret gig. Also included free with each issue is a full reproduction of Simple Minds first newsletter from 1982. This has been reformatted and I've also included some rare Malcolm Garrett artwork. Plus flyers for the new fan club Travelling Man. Issue five will be sent to all subscribers today. Exclusive: Néapolis song-by-song comments by Jim. Pay either by Postal Order, Cheque (drawn on a UK bank), Eurocheque or IMO. Or cash in pounds sterling or dollars in a registered letter. With issue six, Who's Doing The Dreaming Now? becomes the longest running UK independent fanzine. Thank you for your support. And here's to the future. And here's a better link to the site announced yesterday (Thanks to Damian). Simple Minds have just finished shooting the video for War Babies in South Africa. Jim talks about Killing Andy Warhol and the Internet. There's also some behind-the-scenes footage of the War Babies video. Simple Minds had a lucky escape on TFI Friday last week. Host Chris Evans was smashing mirrors and other glass items since it was Friday 13th. Just before the band came on, Evans destroyed two glitterballs. No worries - Simple Minds debuted War Babies on UK television. Glitterball turned up on Top Of The Pops half an hour later. The tin is the same as the promotional square tins, except for the addition of a sticker on the tin, commerical CD insert, and enhanced CD insert. The CD-ROM features the Bilbao interview, which was also included in the round promotional tin as the Glitterball EPK video. Promos for War Babies are already starting to circulate. This one track CD features a new remix of the title track. But a bad chart performance for the album: Néapolis struggled into the UK Album Chart at number 19. A disappointing start. I've had several mails querying the validity of the previous message. So it's time to let the cat out of the bag. Over the past year I've been receiving mails from Jim and last night he sent me the note below for immediate posting on this site. And if you're still sceptical, then go to simpleminds.com and check out their news section. In fact, there's loads of news and tour information on simpleminds.com, so be sure to take a look. The Forum Section hasn't started yet, but that's my fault. I'll be working on it over the weekend and it will be appearing on the official site soon. With sleeve notes by Billy Sloan, unpublished pictures of Jim and the boys plus some really trashy late-70s inspired artwork, it's well worth tracking down. I purchased my copy through the UK magazine Record Collector - it may be available through other outlets. The full history of Johnny And The Self Abusers appeared in Who's Doing The Dreaming Now? #4. Those who had read the fanzine will recognise the list of songs above. All the known demos by the band have now been finally released. This is a letter especially to our fans in AMERICA who are destined to be frustrated by the decision of E.M.I./CAPITOL in their "rejection" of our new album NEAPOLIS. Obviously we are bewildered (and insulted) by such negativity. Especially as we feel that with this record our band is truly back on both artistic and commercial form, and therefore without doubt worthy of the opportunity to re-launch Simple Minds in a country where we still thankfully have such a loyal and wildly enthusiastic fan base! Quite frankly I don't think it's too much in saying that we all deserve a lot more respect than is being currently offered by E.M.I./CAPITOL. Let me further explain by saying that to date we have had no official written explanation as why our record has been "cold shouldered", but until this happens (due soon!) we do not feel it appropriate to comment further. Other than to say that quite obviously "SOMEBODY UP THERE (AT EMI/CAPITOL)DOES NOT LIKE US" - or at least the music we are currently making, and therefore does not seem to think that there is a place in your record shops, or on your radio stations, for SIMPLE MINDS. Surprising then to say the least!!! For if it were true that there is no interest in AMERICA for SIMPLE MINDS then who are you many thousand Americans out there that are visiting our website by the minute!!!!! And could it really be that you have nothing better do do!! Pardon me for thinking it unlikely indeed! As to where we go from here then, in terms of getting a release elsewhere etc. Well at this point who knows! As soon as we do though, you will also, that is for sure! In the meantime maybe you would like to find out more about this situation for yourself by calling Gary Gersh directly at EMI/CAPITOL Los Angeles and perhaps letting him know how you feel about this particular situation. Ask him why his company will not be releasing our album and e-mail us with whatever reply you get from him or any of his cohorts! Let him know about both your and our obvious disappointment. Also on our behalf it would also be great if you called the radio stations and harangued them into giving the new album a chance, because have no doubt - we want to come to AMERICA and play shows for you. But we will "die", at least in your country, without the necessary promotional support. Do it for us and we will always do it for you! KEEP THE FAITH!!!!!!!!! Limited edition CD in tin case featuring extra CD-ROM information and link to the official web site. Deluxe 10" round tin case featuring the card sleeve version of the album, promotional Bilbao CD in card sleeve, Glitterball EPK promotional video, transcription of the Bilbao interview, two separate press releases and three colour promotional pictures of Jim and Charlie. The deluxe version is currently changing hands for £70 and is bound to become the most sought after item. There's also a promotional white T-shirt available, with the new Simple Minds logo across the front in gold. Freelance writer needs to interview faithful Simple Minds fans over the telephone urgently. Please call Alison Carter on (0171) 432 2926. She will call back. Women only. London and London radius only. I strongly recommend phoning Alison if you can. I've also been quietly updating the For Sale, Trades And Wants section so check it out. Don't forget Clive Johnson's auction - the Themes Volumes only rarely come up for sale now. I'll post the information about the Néapolis promos tomorrow. 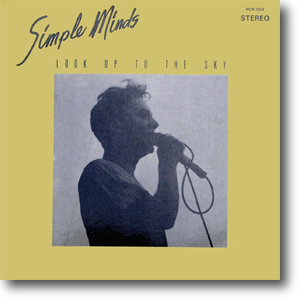 Simple Minds entered the UK Top 40 chart at a respectable number 18, despite no air-play and virtually no promotion. Not bad but not too good either. Normally their first single from an album does slightly better. NME gave the album 3/10 in a short review. This is much better than the 1/10 awarded to Good News From The Next World three years previously. Of course, the NME claimed that Simple Minds had done nothing worthwhile during their 20 years which was not what that particular publication was saying during 1978-89. Q gave the album 3/5, stating that it was better than Good News From The Next World which earned 4/5. So I'm pretty confused about that. Still, there's a great advert for the album on the back of the magazine. And Vox also review the album, and publish an interview with Jim where he selects his top 10 records. I mentioned the 4 track CD promo for the remixes, but was surprised to hear what was on it. Both Don't You (Forget About Me), Waterfront and Love Song appear in edit forms. Plus a different Fila Brazilia remix of Theme For Great Cities that features more of the original Sister Feelings Call version! One to search out. Jim was interviewed in today's Daily Mail. The interview was totally based on his relationships, particularly with Patsy Kensit, so there's not much information about the album or the band. But it's worth searching out. dotmusic - the insider's guide to UK music - is calling for people to vote for their favourite music web site. The Reader's Choice Award is part of the UK Music New Media Awards which will be presented at the London Hilton on 6 April. The owner of the winning site will receive a prestigous CAD award (Creative & Design Award) at a gala dinner attended by the cream of the music industry. And after a wait of almost three years, new Simple Minds material is finally available in the shops. Glitterball CD One Chrysalis CDCHSS 5078 Double CD set with space for second CD. Glitterball CD Two Chrysalis CHCDS 5078. Single CD in jewel case. There's also another promotional four track CD featuring the four remixes (Chrysalis CDSIMDJ001). Simple Minds are now VH1's Artist Of The Month. An exclusive (short) interview with Jim started the whole thing, with War Babies and She's A River being unveiled from the secret gig. The whole show will be broadcast on the 14th March. Can someone give VH1 a new video of Glitterball? Again they showed the video with chewed up sound (they showed it last week and it was terrible) It's obviously not a bad broadcast but a dodgy video. As reported on the 22nd, Jim was the cover start of the Daily Express Saturday suppliment. The interview was largely based on Jim's relationships and the photographer got some interesting shots - from the picture of Jim on the front cover, to the odd angles and pseudo-dancing poses in the interview itself. The next day, Simple Minds turned up on the National Lottery show, and mimed to Glitterball. Host Terry Wogan is becoming an old hand at introducing the band - many will remember the band's appearance on Wogan in 1991. But it's all still publicity. Glitterball is released tomorrow in the UK. See the Teaser Campaign #3 below for format information. On the subject of the teaser campaign, another site has published the Chrysalis press release I was going to post on day four. Still, better late than never! You can find it here. Good luck to Jim, Charlie, Derek and Mel tommorow, and to the guys at Motionpixels - looking forward to the webcast and the unveiling of the Official Site. The image to the right is the cover of the promotional card sleeve version of Néapolis - kindly signed by the band. Jim was the cover star on this Saturday's TV and Radio listings suppliment of the Daily Express. I don't personally have a copy (I'll be trying to track down one tomorrow) but I've been told that the interview is pretty good. The official site, simpleminds.com, features all the news about the forthcoming launch at the CyberTheatre in Brussels. Entrance to the CyberTheatre is by invitation only. But I've been told that the concert will also be broadcast outside so it may be worth travelling down there to see what happens. There's a new Simple Minds auction now running on this web site. Clive Johnson, a fan in the UK, is auctioning off his collection. This includes most of the Themes Volumes, some bootleg LPs, a signed copy of Live In The City Of Light and an ultra-rare cromalin of The Amsterdam EP . Clive has no Internet access so the auction is postal. Good luck. The graphic, to the right, is the promotional sleeve for the Glitterball CD Promo. Another promo for the single has also turned up. 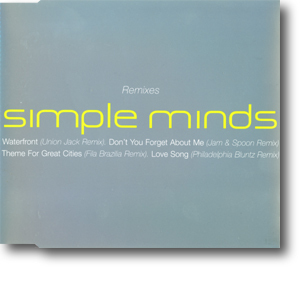 Called Simple Minds Remixes is four track CD features the four remixes from the single. Simple Minds are VH1 Artist Of The Month in March. As part of a series of programmes with the band, Simple Minds played to around 75 people at a "secret gig" at MTV/VH1's London offices. I'm not going to review the concert now, since many people still haven't heard Glitterball or War Babies. I'm just going to say that it was absolutely brilliant and leave it at that for now. A full review of the gig will be included in Who's Doing The Dreaming Now #6. Those who read the New Gold Dream mailing list will know why this site has not been updated over the last week. Briefly, I'd been given information which was not for the Internet, and was asked to stop posting. So I stopped the teaser campaign. Press release: Simple Minds World Wide New Album Launch, live at CyberTheatre, Brussels. 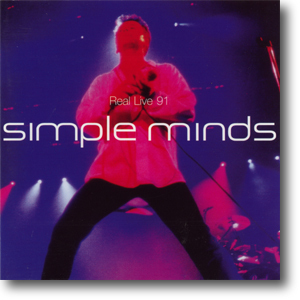 On Wednesday, February 25th 1998 9:00pm CET, the Simple Minds will present their new album Néapolis with a live set of 45 minutes at CyberTheatre in Brussels. The official Simple Minds website (http://www.simpleminds.com) will be presented to the international press at CyberTheatre at 9:00pm. At 9:15pm, the Simple Minds will present their new album live on stage, cybercasted in Real Audio/Video on Nirvanet (http://www.nirvanet.com). This is the first Simple Minds concert that will be broadcasted on the Internet. Between 11:00pm and 12:00pm, a chat will take place with the members of the band on irc.nirvanet.net. An exclusive live interview with Jim Kerr will be broadcasted in Real Audio/Video during the evening (hour to be confirmed). The interview and the live concert will be archived on www.nirvanet.com so people who missed the live gig can view the concert afterwards. 5" CD issued in thin jewelcase with promotional picture sleeve. 12" issued in plain white sleeve with silver labels. I'll upload pictures of these releases later in the week. Simple Minds return on a new label with a new album, Néapolis on March 16th, preceded by the single Glitterball on March 2nd. With Peter Walsh - producer of New Gold Dream (81,82,83,84) - back at the controls with Mel Gaynor and original bassist Derek Forbes back in the line-up, the new songs mark something of a return to their origins. The early Simple Minds albums broke new ground in synthesizer-based music, with their roots in Can, Cabaret Voltaire and Kraftwerk, and Néapolis has the intimacy and the layered, trancey feel of the Krautrock sound. 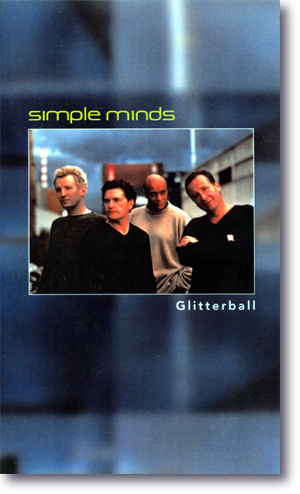 Glitterball is representative of the album. Burchill wrote it on an Omnichord, the most basic of keyboards, to create a particular effect: "I thought it’d be great to give Jim something really basic, the old standard three chords and a bit of rhythm. It’s quite naive in a way, but it sums up for me the general sound of the album." 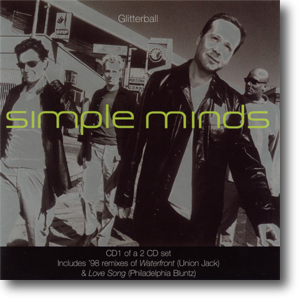 The single will feature unique remixes of classic early Simple Minds tracks, such as Love Song, Theme For Great Cities, Waterfront and Don’t You (Forget About Me). The band have never previously allowed anyone to remix or even sample any of the early hits, though they have been repeatedly approached for permission over the years, since the tracks are regarded as landmarks in early British synth/electronic music. The remixers involved include Fila Brazilia, Jam And Spoon, Union Jack and Philadelphia Bluntz. The band will be playing live around Europe from mid-May (obviously with a break in June for a few weeks, depending on how far Scotland progress in the World Cup), a tour which will include playing the major European Festivals. "Our attitude to playing live has been very pure and almost competitive," says Kerr. "To us, the audience have to go back and say to their mates ‘You should have been there.’ I think that goes back to Charlie and I seeing so many gigs when we were kids. We always knew who delivered." Simple Minds On-Line posted new dates for the album last Monday. Exclusive: I can now reveal that they've changed. Unfortunately, the releases have been pushed into March. 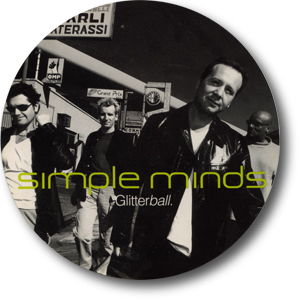 Glitterball will be released on March 2nd, 1998. Néapolis will be released on March 16th, 1998. I've had several mails from people experiencing problems with the official site. You need to turn all your Internet security off before trying to download the title page. This is due to a random number generator running on your machine before your browser selects one of three title pages to download. So if you keep reloading the title screen, you'll see different remix information and hear different samples. There are only three. (Although they programmed four, but for some reason they left Fila Brazilia out. I don't know why, since the Shockwave file for Fila is there). Q Magazine has just published a rather dubious interview with Jim and Charlie. Check out the March issue which is on sale now. I've decided to run my own teaser campaign over the next week. Every day I'll update this web site with exclusive news about the forthcoming single release, album release and the promotional items already circulating. I'll also be including some great new shots of the band, plus the latest press releases. I'm also working hard on the next issue of Who's Doing The Dreaming Now. This issue will feature full reviews of the new album and single, including the four new remixes, some background information on Fila Brazilia and why they chose Theme For Great Cities and more! The new album is excellent. I've been playing it virtually non-stop since last week. Also the single version of Glitterball and the four remixes are well worth the wait. Those samples on the official site give little, or no, indication of what's to come! Don't You (Forget About Me) remixed by Jam And Spoon. All these remix artists were selected because they wanted to remix Simple Minds. War Babies is going to be the second single, scheduled for release on the 20th April 1998. Coupled with the album cut, plus a new mix of the title track, will be the I Travel remix by the Utah Saints. Goodbye Helium. It's been nice knowing you. And welcome to Simple Minds Online. Launching on Monday 26th January, the new introduction page looks much cleaner and smarter than it's predecessor. 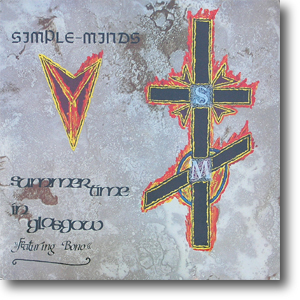 Yesterday marked the 20th anniversary of Simple Minds first gig, supporting Steel Pulse at Glagow's Satellite City . Congratulations to Jim and Charlie. Yesterday, Glitterball was played on Radio Donna, a radio station based in Belgium. The station had just received their promotional copy and it was aired around 3:30PM in the afternoon. Practical Photography (February 1998) has featured an interview with Andy Earl about the shoot for the forthcoming album's artwork. 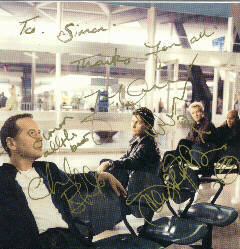 Included are some great pictures of Jim, Charlie, Derek and Mel hanging around Naples' railway station. Check out pages 10 and 11. I found out that the Mayor of Naples was a huge Simple Minds fan. He granted me the freedom of the city. I had no more trouble from then on. - Andy Earl. I will soon be moving part of this web site to a different ISP. Only the discography section, and links to it, will be affected. The rest of the site, and in particular this news section, will remain fully functioning. 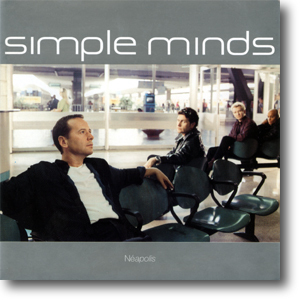 The title of the new Simple Minds album is Neapolis, the ancient name of Naples, meaning New City . (The Minneapolis title was obviously a case of chinese whispers!). Endless River fanzine have also published the following track listing for the album. But this listing is still not finalised, since the record company have the option of adding two other songs. The song If I Had Wings was contributed to the Sawdust Tales soundtrack (as mentioned in December).